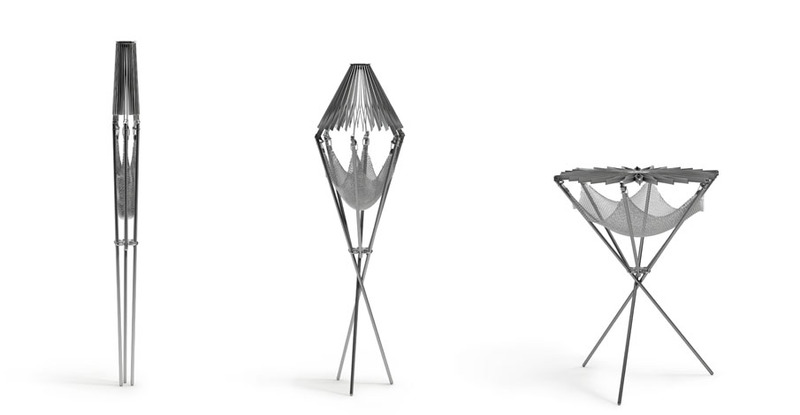 It was the typical camping stool which emerged as the core inspiration to design a whole new concept of portable grill. 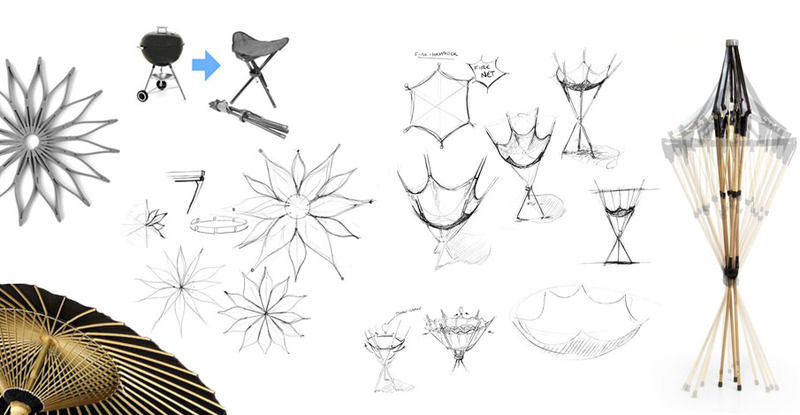 The project quite simply started with the phrase: How would we fit a grill into a tubular form? The Grillo followed a very hands-on design process, after making a series of maquettes and full-scale models, the geometry was created. Grillo is a new definition of portable barbecuing. Without any assembly it can be unpacked from its slender case and deployed in a single movement.